Our professional service, high quality welcome and strategic position will turn your stay in Trieste into an unforgettable experience. 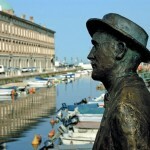 Discover Trieste and its fascinating history with us, treat yourself with our warm reception and enjoy a peaceful stay. A central position, an accessible structure, a qualified staff always at your disposal: this is Hotel Italia, the ideal solution for your stay in Trieste. Discover Trieste and its surroundings – our high-quality service is designed to meet your specific needs. Our professional service goes beyond simple guest accommodation – let us give you some advice on the best restaurants and theatres, to turn your work trip into a pleasant stay in Trieste. By Bike around the Carst – 2 nights 136,00 € p.p. Enjoy the enchanting city of Trieste and discover by bike the Carst. This offer includes fully day cycles hire, 2 tastings in the typical "osmize" (farms) and return by ferry boat to the old town. Book it right now! Enjoy Trieste all year round! 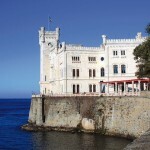 Minimum Stay: 2 nights; Arrival days: every day; This offer includes: breakfast buffet, free Wi-Fi, welcome drink, free entrance in the Miramare Castle, in the Gigante Cave and in the Civic Museums, a walking city tour, parking lot and a coffee tasting in the historical coffee bars in the old town. Book it now! Hotel Italia is located in the heart of Trieste, a few steps away from Piazza Unità d'Italia. This recently renovated Hotel is now completely accessible; it offers 38 en-suite bedrooms and one meeting hall on each floor with free Wi-Fi service. All these features combine with a strategic position to make Hotel Italia the ideal place for both a leisure and business trips. Hotel Italia is partner of the tourism_net.fvg Business Network.